Cataracts are cloudy areas in the lens inside the eye, which is normally clear. They can develop in one or both eyes. A typically clear lens allows light to pass through to the back of the eye, so that a person can see clear images. If a part of the lens becomes opaque, light does not pass through easily and the person’s vision becomes blurry. The cloudier the lens, the worse the vision. Cataracts are a leading cause of blindness, affecting more than 20 million people in the US alone. Most are related to aging. Women have a higher risk of developing cataracts than men. 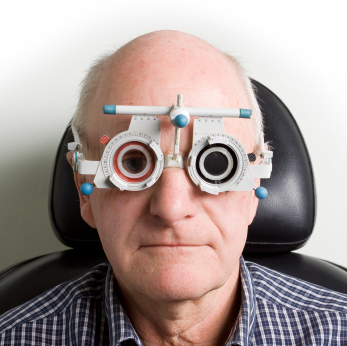 Cataracts result in three million cataract surgeries every year. Age-related cataracts are the most common form, and appear later in life. Aging: more than half of individuals over age 75 have cataracts. Heredity: cataracts tend to run in families. Eye conditions. People who are nearsighted are at increased risk of developing cataracts. Physical injuries to the eye or eye inflammation can also increase risk. Previous intraocular eye surgery increases cataract risk. Diabetes: People with diabetes type 1 or 2 are at very high risk for cataracts and are much more likely to develop them at a younger age. Development of cataracts is significantly related to high levels of blood sugar (hyperglycemia), and cataracts in people with diabetes are sometimes referred to as sugar cataracts. Autoimmune Diseases and Conditions Requiring Steroid Use. Medical conditions requiring high use of corticosteroids pose a particularly high risk. Many of these medical conditions are autoimmune diseases, including psoriasis, multiple sclerosis, rheumatoid arthritis, systemic lupus erythematosus and others. Smoking and alcohol use. Smoking a pack a day of cigarettes may double the risk of developing cataracts. Smokers are at particular risk for cataracts located in the nuclear portion of the lens, which limit vision more severely than cataracts in other sites. Chronic heavy drinkers are at high risk for several eye disorders, including cataracts. Environmental factors. Long-term environmental lead exposure may increase the risk of developing cataracts. What are the Dietary Recommendations for Cataracts? The lens is a hard crystalline structure inside the eye. It has no nerves and no blood supply. It is very important to stay hydrated with at least 4-6 glasses of fluid per day: this can be filtered water with lemon; you can also have raw milk and bone broth as part of your fluid intake. Essential fatty acids are vital for reducing inflammation in the body, including the eye. You will find this in the form of chia and flax seeds, wild-caught cold water fish, pastured meats and eggs. Wild salmon contain astaxanthin, a powerful antioxidant which has been proven to protect the eye and repair damage; wild salmon is 400 percent higher in astaxanthin than farmed salmon, and 100 percent of their pigment is natural astaxanthin, rather than synthetic. In addition, wild salmon have much higher levels of omega-3 fatty acids than their farmed counterparts. Selenium and sulfur nutrients also help protect the eye lens as they help form the water-soluble antioxidant, glutathione, which is quite effective in preventing cataracts.3 The best way to increase glutathione levels in the eye lens is to eat selenium-containing foods such as brazil nuts, sunflower seeds, sardines, shrimp, scallops, pastured beef, lamb, poultry and eggs. Wonderful sulfur-containing foods are garlic, onions, eggs (again!) and capers. Topical MSM (methylsulfonylmethane) eye drops also are very helpful. In their book Save Your Sight, ophthalmologist Mare Rose, M.D., and his brother Michael Rose correlate hyperinsulinemia caused by too much dietary sugar with cataracts, glaucoma and macular degeneration, as well as diabetes, high blood pressure and cancer. If you are prone to cataracts or already have them, it is wise to remove refined sugar from your diet, and avoid most grains. Rabbits in Argentina and Australia are developing cataracts due to the reduced ozone layer, which allows more ultraviolet (UV) light into the atmosphere. The UV in sunlight can cause the free radicals that damage the proteins in the eye lens. When this happens, the lens becomes less transparent and appears cloudy. A cataract begins to form when the crystalline proteins lose their structure and shape because of damage from free radicals. The crystalline proteins then clump together causing the lens to become opaque rather than remain transparent. 6 UV-filtering sunglasses and a wide-brimmed hat are a good idea for extended periods outdoors. Other carotenoids – like lutein, lycopene and zeaxanthin – play important antioxidant roles in the eyes as well. We believe that the reason many people do not get results with isolated astaxanthin is due to the synergistic effect off all the carotenoids together as they are found in food. One study found that moderately high levels of blood lycopene (>0.30 micromol/L) were associated with a 46% increased odds of cataracts. One study concluded that plasma SOD activity determines the proneness of the patients for development of senile cataract. SOD or superoxide dismutase is found in genetic profiles as SOD1, 2 and 3. These require copper, zinc and manganese to function properly. Individual variants increase the need of these nutrients for SOD. Zinc and manganese are two nutrients often low in many diets. Like vitamin C, zinc is also concentrated in eye, mainly in the macula of the retina. 4., 5. “Calcium, Chromium, Protein, Sugar and Accommodation in Myopia” in Documenta Ophthalmologica Proceedings 28:141-148 (1981) and “Elevation of Intraocular Pressure with Daily Sustained Close work Stimulus to Accommodation Lowered Tissue Chromium and Dietary Deficiency of Ascorbic Acid (vitamin C)” in Documenta Ophthalmologica Proceedings 28:149-154 (1981).